I’m not sure there is a single principle more important than simply loving your people. 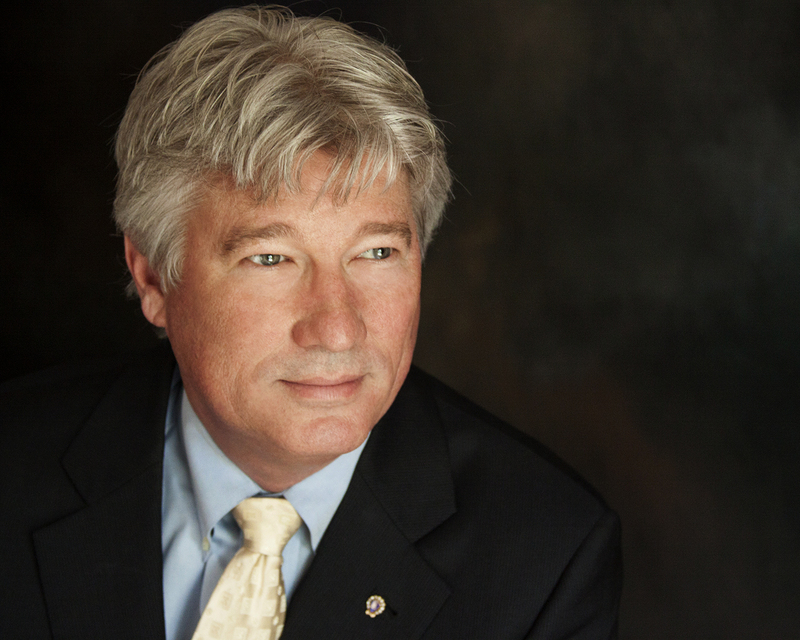 I’ve always enjoyed reading books by John C. Maxwell, and in one of his books he had a statement from President Theodore Roosevelt, “People don’t care how much you know until they know how much you care.” During my lifetime I have been president of roughly a dozen different organizations including several civic organizations and two chambers of commerce. Leading a non-profit, charity, or civic club is different than leading a business given your employees are paid and in the non-profit world, the motivation is largely personal incentive. That said, there are also striking similarities. In the outstanding business book by Jim Collins Built to Last, the biggest takeaway from the book is that a company or business must be base on a set of strong core values and those values must be practiced daily. 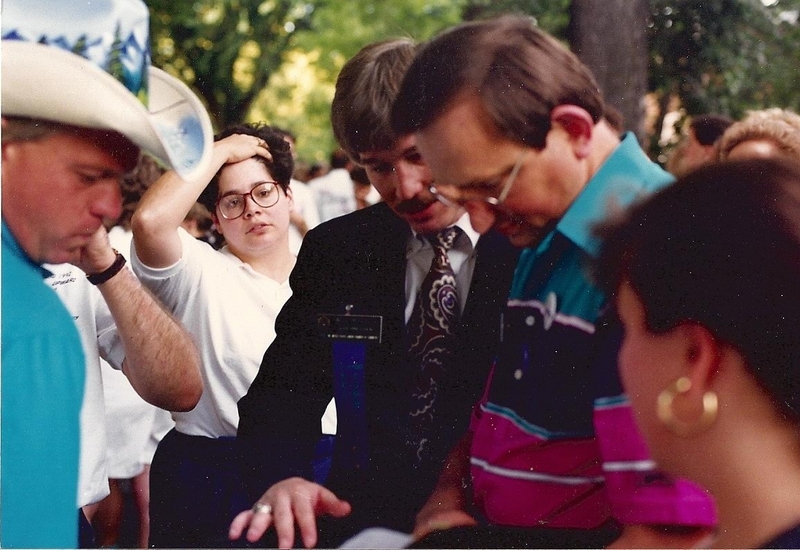 In 1985, I met a man named Ray Parlier. 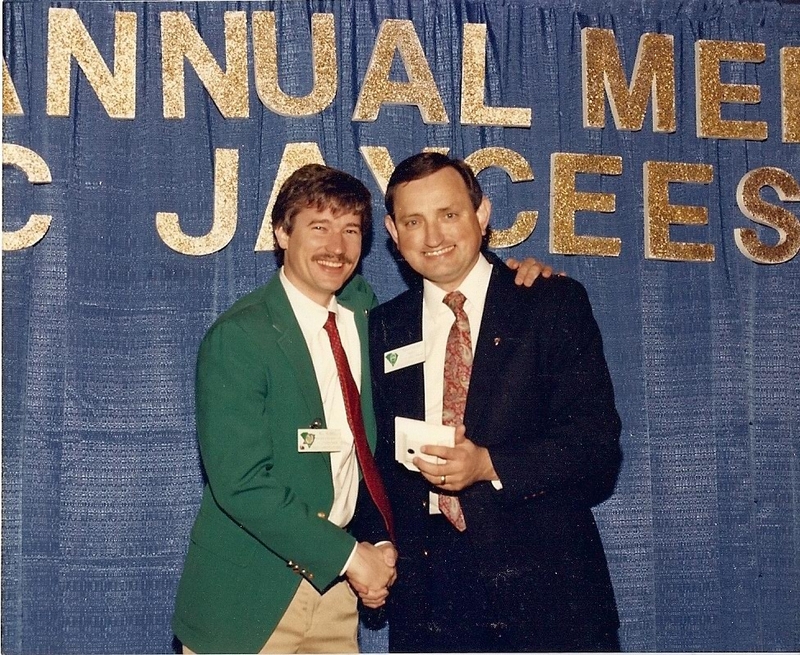 Ray and I were very involved in the South Carolina Jaycees and later he would lead the state organization as President. He also became one of my political advisors when I was National President of the United States Junior Chamber of Commerce. While Ray was extremely successful in the Junior Chamber, his real impact was shaping the lives of kids at Furman University where he served as Athletic Director during the time when it claimed its only National Football Championship. Ray’s influence on me was profound, but his greatest lesson was to love your people. If you demonstrate how much you care about the people you lead, they will follow you anywhere. People always came first with Coach Parlier and he was a master at making you feel special. Coach Ray and I review a list of state caucuses I am to speak at during my national election in Portland. He called until it was too late to talk on the phone. Then he would switch to addressing postcard after postcard thanking folks for the smallest things. Ray was a fierce competitor and he believed everyone had a place on the team. The quarterback who made the perfect fade pass was important but so was the trainer who conditioned the players. Ray gave out more plaques and incentives than anyone I ever met and sometimes it was the smallest tokens that people desired the most. It wasn’t the size of the reward but the appreciation for the job well done. I’m not sure I ever saw as many men hug each other as they did under the leadership of Coach. He made you feel good about yourself and your effort. Someone recently asked me what I attributed the success of the Chamber, Sure the location of our businesses itself, located in the lake region, contributes to our success. We have businesses that work their plan, take advantage of our networking events, and our outstanding programming. However, the thing that sets our chamber apart, which enables us to be the best of the best, is our appreciation of each other. You have to show folks how much you care. It’s the basis of leadership. I still remember a Saturday morning in Charleston, S.C. when I had just been elected President of the South Carolina Jaycees. 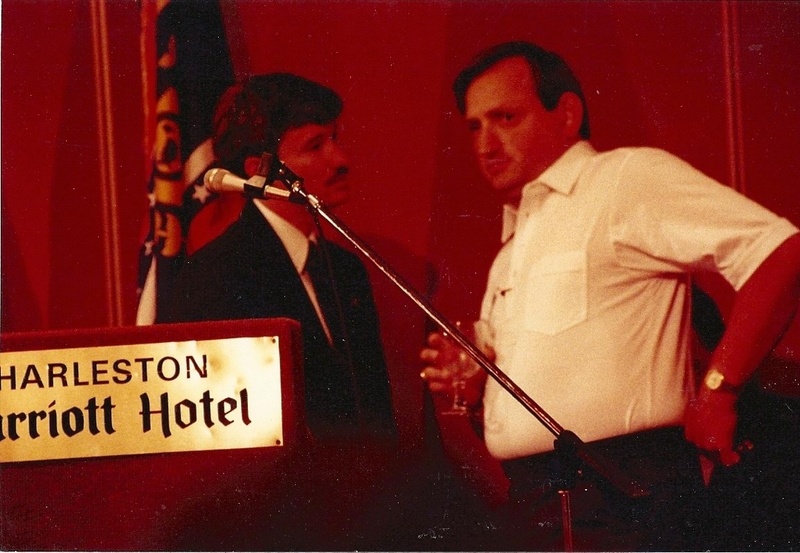 Coach Ray Parlier put his arm around me, hugging me tight, looking me square in the eyes, a smile across his face, he said, “Bill, love your people and they’ll love you back.” That may well have been the single best business advice I ever received.